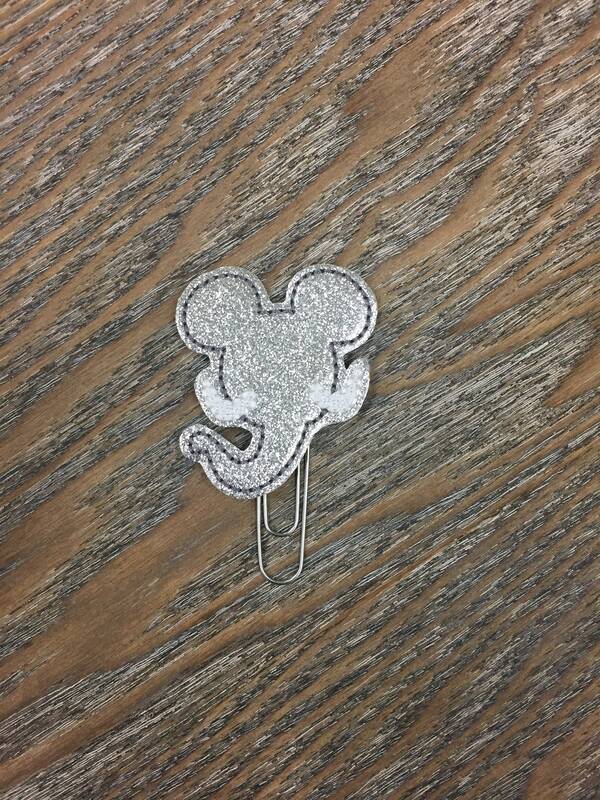 Large paper clip with a glitter vinyl elephant mouse embellishment. Great for planners, book marks, Bible journaling, teachers, attaching to gifts or just about anything! 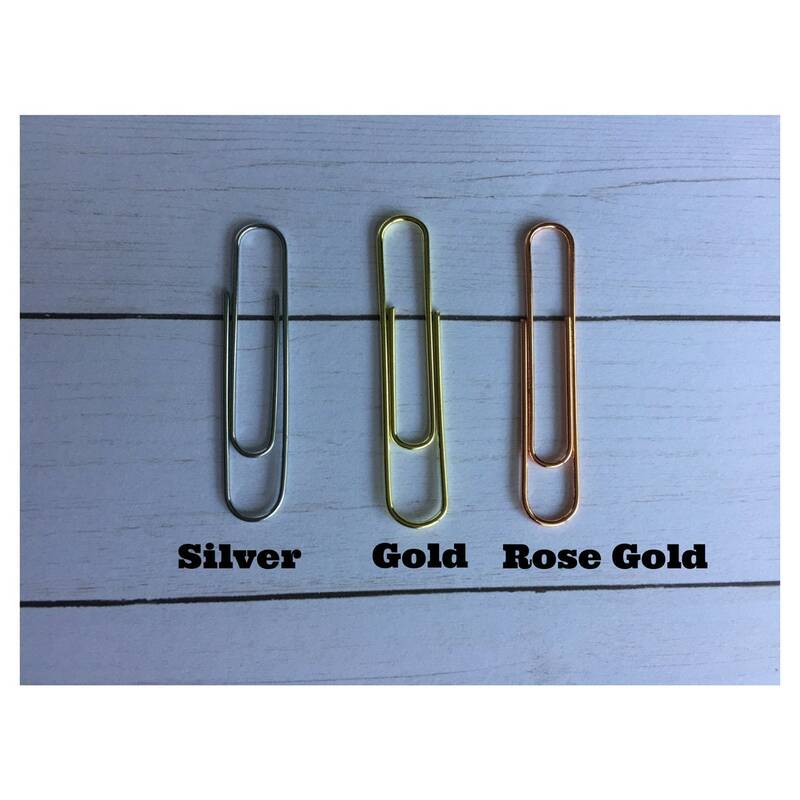 Choose silver, rose gold or gold paper clip. I appreciate prompt payment so that the packaging process can begin. I do my best to properly package all items and I do recycle and reuse boxes and packaging to be as "green" as possible. Small items are shipped via USPS First Class Mail unless you choose an upgrade at checkout or request special arrangements via conversation. I try to keep my shipping costs as low as possible. Once your package is in the hands of USPS, I cannot guarantee its delivery time or be held responsible for missing or lost packages. I strive to ensure my handmade creations will meet your expectations but if you are not satisfied please let me know. At that point, I can evaluate the situation and possibly offer a replacement or a return (less shipping fees). Photos may be requested for damage. My ultimate goal is for you to be a satisfied customer! Returns are not accepted custom items. I love and welcome custom orders, wholesale and bulk orders. Please convo me regarding any questions or requests.